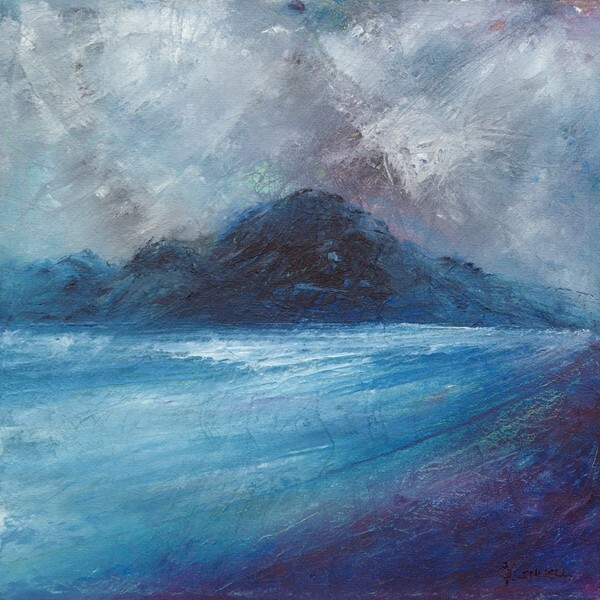 A contemporary semi abstract impressionist Scottish mountain coastal seascape fine art painting, inspired by Loch Broom near Ullapool on the west coast Scottish highlands. 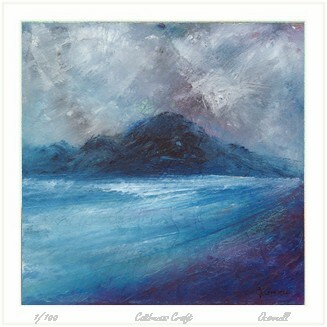 Painted with an atmospheric stormy rain soaked sky. Appropriately the Scots Gaelic is Loch Bhraoin, loch of the rainy showers. 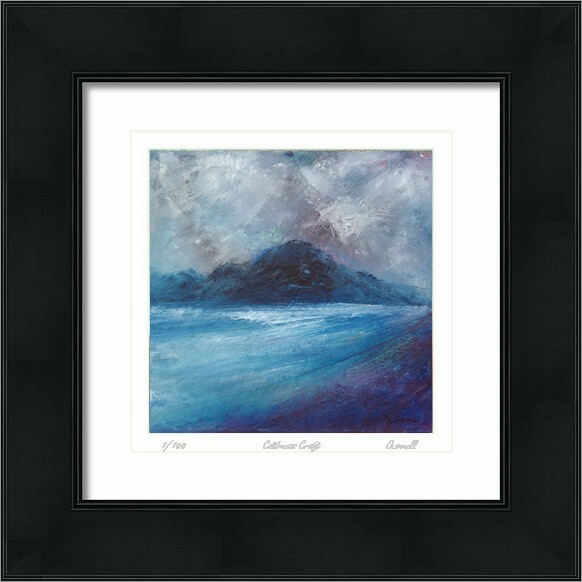 An original acrylic art painting on 8 x 8 inch lightly textured canvas in a white wooden frame ready to hang.